Earlier it was the Rashtriya Swayamsevak Sangh and the Vishwa Hindu Parishad. 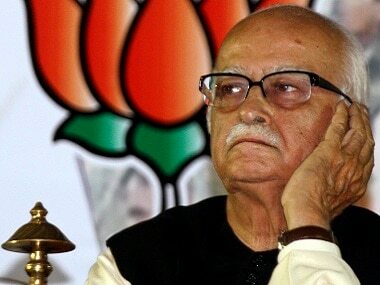 Now, it’s the BJP’s own parliamentarians, not to mention the Shiv Sena, demanding to know whether the government is planning to frame a law to construct a Ram Temple at the disputed site in Ayodhya where “karsevaks” demolished the 16th Century Babri Masjid. BJP president Amit Shah’s latest remarks on the Ram Temple appears to indicate that the party is feeling the pressure for not building the temple yet — with months to go for the next Lok Sabha elections — as it had promised in the run-up to the 2014 polls. “Ayodhya is a title issue. The BJP has clearly stated that we want to build a grand Ram Temple at the exact spot and it is the demand of the entire nation... The case was pending before the Supreme Court much before 2014,” Shah said at a Republic TV event in Mumbai on Wednesday. 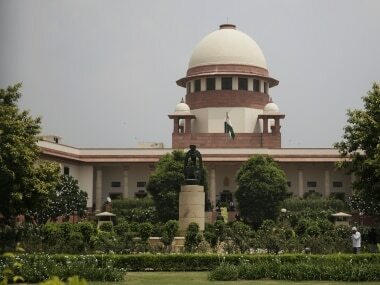 On 29 October, the Supreme Court had rejected the Uttar Pradesh government’s plea for an early hearing in the Ayodhya matter and ordered all appeals against the Allahabad High Court order in the Ram Janmabhoomi-Babri Masjid title suit to be listed before an “appropriate bench” in the first week of January to fix a date for hearing. It is interesting that Shah made the remarks on wanting the Ram Temple at the “exact spot” just a day after BJP MPs, at a parliamentary party meeting, sought to know what the government’s stand on the matter was. Although both Shah and Prime Minister Narendra Modi were absent at the meeting, Home Minister Rajnath Singh asked the MPs to remain patient. “Rajnathji has asked us to wait... When the domes were brought down in 1992, no one had taken the court’s permission. Now the controversial structure doesn’t even exist there. So people should build the temple. It’s a matter of faith,” Ghosi MP Hari Narayan Rajbhar said after the meeting. In the current atmosphere in the country that’s heading for a high-voltage election, this renewed movement for the Ram Mandir makes one wonder what the focus of various parties will be, especially the BJP’s. At election rallies leading up to the 2014 general elections, BJP leaders had made tall claims of building the Ram Mandir at Ayodhya if it was voted to power, but it’s manifesto was not as impassioned about the poll promise. In it’s 42-page manifesto, the party had made only a passing mention of the Ram Temple on page 41 under a section titled “Cultural Heritage”. “BJP reiterates its stand to explore all possibilities within the framework of the Constitution to facilitate the construction of the Ram Temple in Ayodhya,” its manifesto had read. This rider saying that its efforts would be "within the constitutional framework" is what Modi reiterated in an interview, as well. “The country doesn’t run according to glib statements. The country runs as per the Constitution and constitutional rules. The country will also grow according to these constitutional rules,” Modi had said. The key here is “glib statements”. Although party leaders made passionate statements about building the Ram Temple at campaign rallies, it remained surprisingly non-committal towards it in its manifesto; even more so when compared to the assertive stand it had taken in its 2009 manifesto. Five years later, though the party kept up its narrative on the Ram Janmabhoomi-Babri Masjid case, it switched its focus to development, economic growth and welfare schemes. Now add Uttar Pradesh chief minister Yogi Adityanath to the equation — along with his hardline Hindutva politics and spree to rename cities, including rechristening Faizabad as Ayodhya — and club it with the re-energised movement of Hindutva groups to press for a law to facilitate the construction of the Ram Temple. It would appear that these Hindutva leaders are hell bent on ensuring that Ayodhya has a Ram Temple at the earliest, and they’re willing to go to any extent to achieve that end. 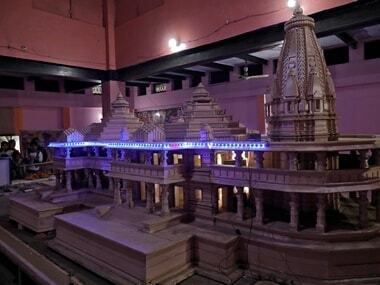 After years of stony silence on the communal matter, Modi finally spoke up on the Ram Mandir dispute on 25 November, the same day the VHP organised a "Dharma Sabha" in Ayodhya to push for the construction of the temple. At an election rally in Rajasthan, Modi had accused the Congress of attacking the judiciary while it was hearing a crucial case like the Ayodhya dispute. "The Congress creates an atmosphere of fear for the judiciary when the court hears the Ayodhya issue. They do everything possible to impeach the Chief Justice of India. How can such things be accepted?" the prime minister had said. While this might not seem like much, one could believe that Modi’s comments indicate that the saffron party indeed believes it can retain power at the Centre if it adds more Hindutva vigour to its politics. 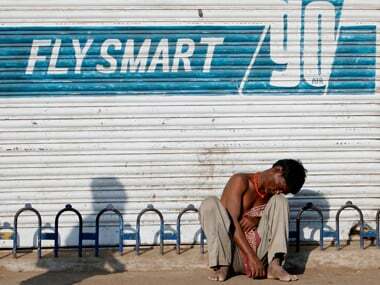 And the run-up to the recently-concluded Assembly elections proves just that. At campaign rallies, BJP leaders reiterated the party’s promise to build the Ram Temple time and again, in state after state. It focussed far more on the temple and on pointing out what the Congress (and the ancestors of its leaders) failed to do than highlighting what it planned to do to develop the backward regions of these states and to improve the welfare of the people. It chose to focus on a subject the party believes holds importance to tribal voters in Chhattisgarh, or starving farmers in Telangana. 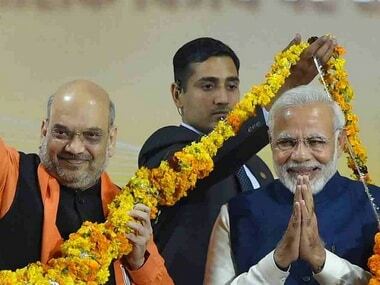 File photo of Narendra Modi and Amit Shah. In terms of their focus, the Congress and BJP appear to have switched roles. Although the Congress has neither supported nor opposed the Ram Temple outrightly, it mostly appeared to be floundering for votes with no apparent goal. But the recent elections revealed a well-thought-out strategy that ultimately helped the Congress wrest power from the BJP in three Hindi heartlands. An NDA ally itself has acknowledged this shift in focus. Lok Janshakti Party leader and Union minister Ram Vilas Paswan’s son Chirag Paswan said the BJP remained “tangled in religion and temples” while the Congress focussed on development. “The Congress fought the elections on issues like farmers and unemployment, but the BJP majorly restricted itself to religion and temples,” he said. Paswan might as well have spelled out what appears to be the BJP’s strategy for 2019. So much so that the party has roped in priests and seers to try to consolidate Hindu votes ahead of the Lok Sabha polls. 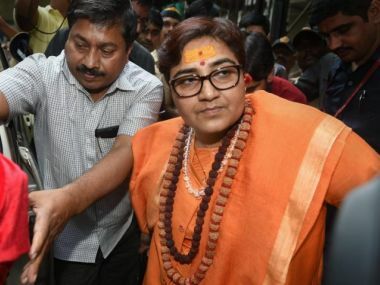 Furthermore, the party’s relentless stand against the Supreme Court verdict allowing the entry of menstruating women inside the Sabarimala temple in Kerala could also be considered indicative of its attempts to appeal to Hindu sentiments and uphold tradition over equality. And this is in a state where its influence is even lower than limited. Also, pressure from the RSS — its ideological partner that is believed to have played a key role in the BJP’s landslide victory in 2014 — is also a prime factor to consider. While the Hindutva group has always been vocal about its demand for a Ram Temple, it has recently upped its game and been demanding a law to bypass the Supreme Court. BJP leader and Union minister Giriraj Singh’s statement after the Supreme Court deferred the hearing in the Ram Janmabhoomi-Babri Masjid title suit, in a way, sums up what the party’s stand could be construed to be. “There should not even be any debate over it. There’s not even any need to involve the courts here,” he had said. But it is this lack of focus on local issues and emphasis on Hindutva politics that cost the BJP three states in the Assembly elections. Given all the temple-leaning signs it has shown in the past few months, it looks like the BJP is ready to stick with its saffron strategy and go ahead with its temple first, development later line of work, like the Shiv Sena’s “pehle mandir, fir sarkar” (first temple, then government) stand.